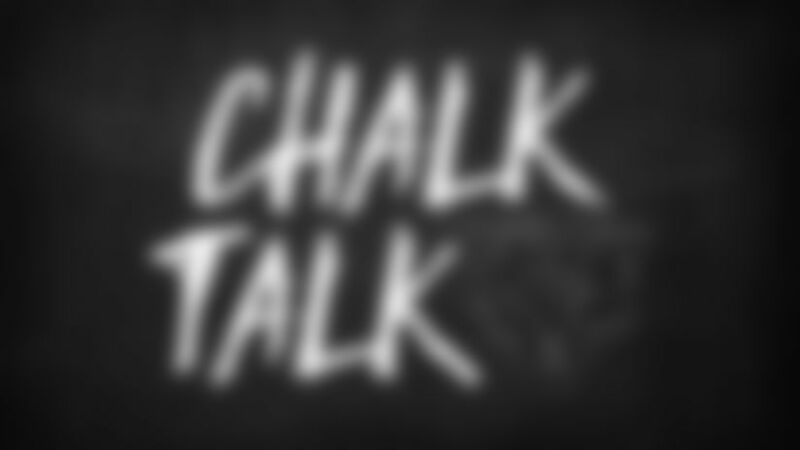 Chalk Talk: What’s key to beating Packers? Aaron Rodgers has had the Bears' number for a long time. What do you think is the key to defeating him and the Packers on Sunday? The Bears need to win the turnover battle and generate the same type of pressure on Aaron Rodgers that they did versus Jared Goff in last Sunday night's win over the Rams. The defense was relentless in that game. I expect new Packers head coach Joe Philbin to call plays designed to get the ball out of Rodgers' hands as quickly as possible. In the season opener between the teams in Green Bay, the Packers didn't have much success on offense until Rodgers returned to the game after injuring his knee. He was practically playing on one leg, so instead of scrambling around to buy time like he normally does, he was getting rid of the ball quickly—and threw three touchdown passes in the fourth quarter in the process. If Rodgers does that again, Bears rushers will have to fill his passing lanes and get their hands up, while the defensive backs will need to lock down the receivers in coverage, taking away slants and other quick passes. It looked to me like Tarik Cohen was trying to field the free kick after the safety in the Rams game with one foot inbounds and one foot out of bounds. Why did he do that? It was actually a very heads-up play by Tarik Cohen because if a player fields a free kick or kickoff while standing with any part of his body out of bounds, the kick is ruled out of bounds (even if the ball never goes out of bounds). In the case of a free kick after a safety, the Bears would have started their possession at the 50. The only problem was that Cohen accidentally touched the ball before he was able to get his right foot out of bounds, so the Bears took over at their own 19 where he stepped out. What exactly happened on the play against the Rams where the Bears tried to sneak their offense back on the field on fourth-and-one, but officials blew the play dead? The Bears lined up like they were going to punt, but then their offense raced onto the field to replace the punting unit. But right tackle Bobby Massie inadvertently ran over an official and the play was blown dead because the official would not have been able to recover in time to officiate the play. Even if the play had not been blown dead, however, NFL rules would have given the Rams an opportunity to substitute players into the game to counter what the Bears did.